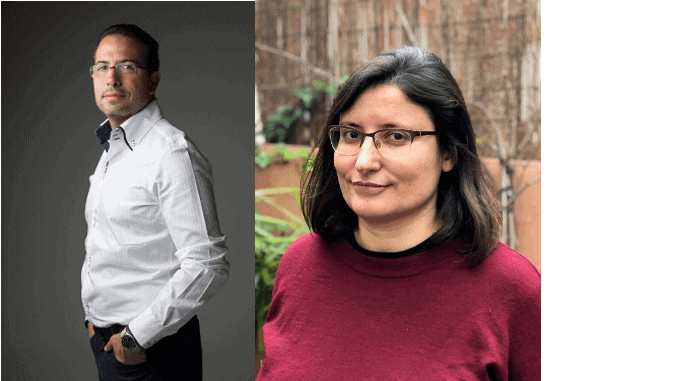 CUBIQ FOODS is a clean fat startup in Barcelona, founded by entrepreneurs Dr. Raquel Revilla and Andrés Montefeltro, who use cell culture to respond to an increasing industry demand for health and wellness ingredients. The process used to produce the fats is sustainable and avoids any harm to animals. CUBIQ recently secured a $12M investment from Moira Capital Partners, the Spanish private equity boutique, led by Javier Loizaga. We spoke with Andrés Montefeltro(CEO and co-founder), and Dr. Raquel Revilla (CSO and co-founder) about the investment and the future of the firm. Firstly please can you introduce CUBIQ to our readers? CUBIQ FOODS is a food producer that is harnessing the possibilities of cell culture to generate more nutritional and flavourful products. Firstly, it is focused on healthy fat production as a key ingredient of next generation healthy bread & bakery, beverages and plant-based food. CUBIQ healthy fat is enriched in omega-3 (DHA+EPA) and it is prepared in encapsulated format as part of an industrial recipe to facilitate the production and product launch. CUBIQ FOODS is bringing to the market the best way to incorporate omega-3 in people’s diets. Raquel and I believe that we are eating less healthily and paying more for poor quality food. Current food production processes are limited in the generation of nutritional or healthy food. Processed food is viewed badly and the only current option is to go to ecological food production. This is unsustainable and un-scalable to deal with a growing population that will reach 10Bn in 30 years. Cultured food, meaning food made from cultured cells, is scalable, sustainable, nutritious, and can be enriched in vitamins or essential fatty acids like omega-3. It is probably the best way to produce new healthy products and we would like to be part of this change. What do exactly do you produce? We produce fat tissue in culture. In high scale. This fat is enriched in omega-3 and it can be consumed as it is with minced meat, or a healthy oil can be extracted from the tissue and encapsulated for industrial application. For example in bakery, cookies, plant-based meat substitutes or beverages. Our unique selling proposition is: “The first cultured healthy fat for food with high omega-3 content”. Which benefits do your products offer? Our product enriched in omega-3, CUBIQ OMEGA-3 will give the consumer the opportunity to take his daily dose of DHA+EPA to protect his brain, eye and cardiovascular system, for example, in 5 small cookies, with a great flavour. You just secured a EUR 12 million investment – how will it be invested? Where will your company will be in five years? In five years we expect to start our expansion phase by opening production plants in US and Asia. CUBIQ FOODS will become the Cultured Fat leader worldwide. How will cell-based meat and fats develop over the next years? It will grow at a steady pace. The sector is starting small and production cost will drive the market penetration. The fastest the sector reaches competitive prices, the faster it will grow. Other companies in the sector are not looking into healthy claims or improved clean meat features at this point. From our point of view, clean meat should be seen as a better food than traditional one in terms of health benefits and complex flavour. If it is not the case, the competitive situation will set the clean food only in gourmet restaurants and the market will not develop as expected.